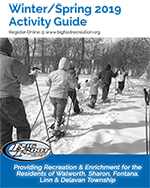 These youth sports organizations are affiliated with the Big Foot Recreation District and BFRD assists these organizations as are able. Ultimately these organizations operate independently from BFRD. Payments must be made to the respective club. Checks made to BFRD will not be accepted. Registration Deadline: Monday, April 8, 2019 at 4:00 p.m.
Big Foot Attack offers female athletes the opportunity to develop individual and team skills to play competitive volleyball. Grade-level teams play other teams from local communities. A travel and time commitment for league nights and practices is mandatory. Season is April through May with practice once or twice per week. League nights will be Friday nights during the season. Flyers will be sent to all of the Big Foot area schools by March.